We spend some time with the Olympus PEN E-PL2 Micro Four Thirds digital camera: Is this the perfect compact camera for shooting video? 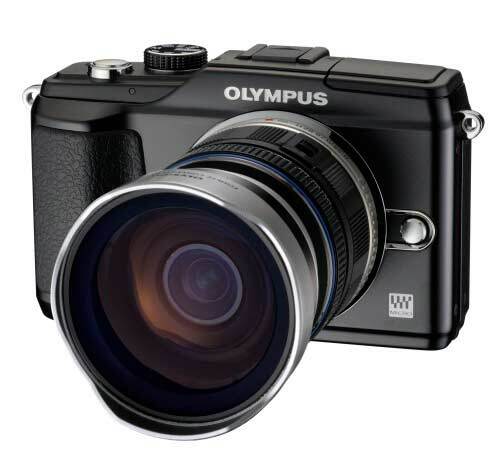 The Olympus PEN E-PL2 Micro Four Thirds camera contains plenty of improvements over the PEN E-PL1, including much smoother video capture and better autofocus performance. We look forward to giving it a thorough workout once it's released. 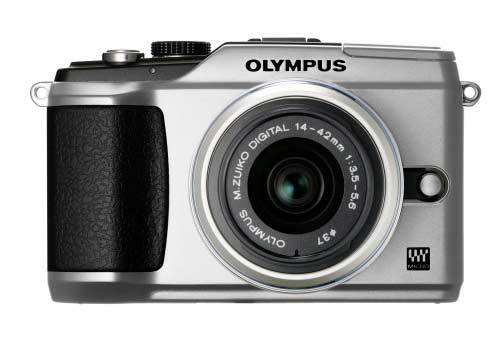 The recently announced 12.3-megapixel Olympus PEN E-PL2 digital camera looks to be a doozy. We had the opportunity to briefly play around with it and we think it's likely to be one of the best interchangeable lens cameras available — especially for shooting video — once it's released in late February. Olympus PEN E-PL2 front view. 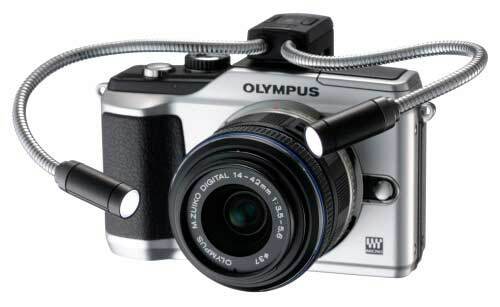 The Olympus PEN E-PL2 digital camera retains the Micro-Four Thirds sensor and lens mounting design of the Olympus PEN E-PL1, as well as the same imaging system. However, there are some differences in the control layout on the body, the size and quality of the screen and the accessories shoe. There are even differences in the new lenses (including the kit lens) that will be available for the new camera. There have been many more changes made under the hood, too, with perhaps the biggest change coming in the way the camera shoots video. With camcorder-like image stabilisation, the video that's shot with the PEN E-PL2 comes out very smoothly. The Live View display looks very smooth and the end result makes it look like you used a steady-cam to shoot the scene. Predictive algorithms are used to create this effect. From what we saw, the background doesn't bobble much (if at all) if you are on the move while you're shooting, and there isn't noticeable tearing in footage either. Focusing is very fast and reliable and you can even use autofocus tracking to home in on a particular subject and keep it in focus regardless of where it ends up in the frame (this works for stills as well). The autofocus mechanisms in Olympus' range of lenses have also been improved. The new lenses (including the 14-42mm MkII kit lens) include what Olympus calls its Movies and Stills Compatible (MSC) drive system. The new drive system has shafts that have been created with micron-accuracy, and combined with smaller lens elements. The new lenses can focus faster and more smoothly than the older lenses. The kit lens that we saw also felt a lot sturdier than the kit lens that was provided with the E-PL1, and it's also slightly smaller. All the lenses in the new range except for the pancake lens will have the MSC drive system. In addition to current lenses, Olympus said it will also be releasing more prime lenses. Accessories for the lenses will include converters that can be directly attached, such as a fisheye converter (FCON-P01), a wide-angle converter (WCON-P01) and a macro converter (MCON-P01). Some other cool accessories include a tentacle-like, two-arm macro light, and a Bluetooth module (called PENPAL) will also be available around March or April. These accessories plug in to the accessories shoe on the back of the E-PL2. This shoe is slightly different to the one on the E-PL1 so the new accessories won't work on the older camera, but the older accessories will work on the new camera. The Macro Arm Light. Source: Olympus. The Fish-eye adapter (FCON-P01). Source: Olympus.